Where are my clients when they are not asleep? Can a business network deployment be justified economically by the number of potential customers? 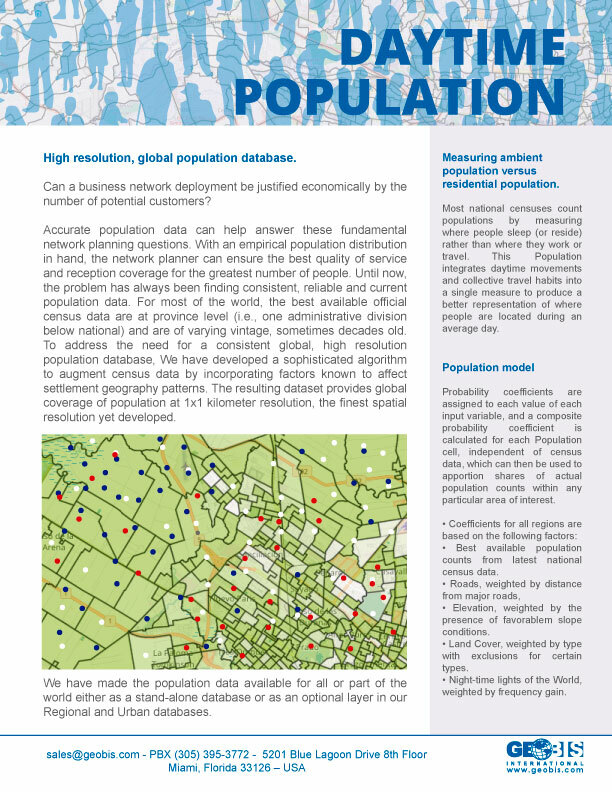 Accurate population data can help answer these fundamental network planning questions. 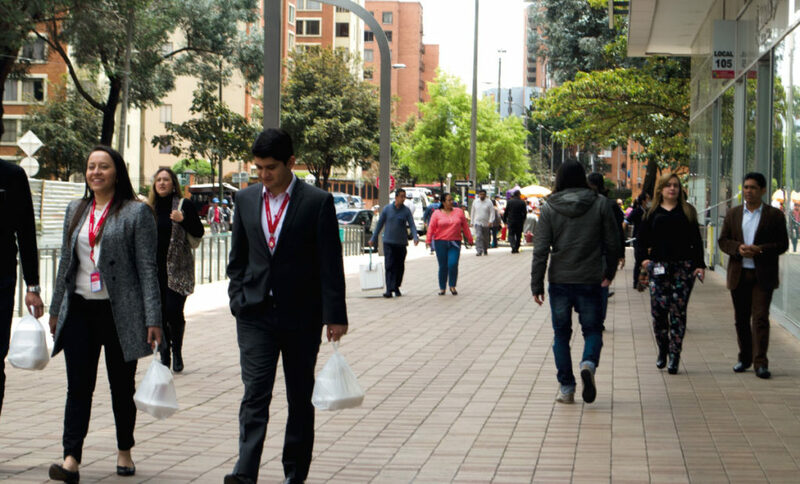 With an empirical population distribution in hand, the network planner can ensure the best quality of service and reception coverage for the greatest number of people. Until now, the problem has always been finding consistent, reliable and current population data. For most of the world, the best available official census data are at province level (i.e., one administrative division below national) and are of varying vintage, sometimes decades old. 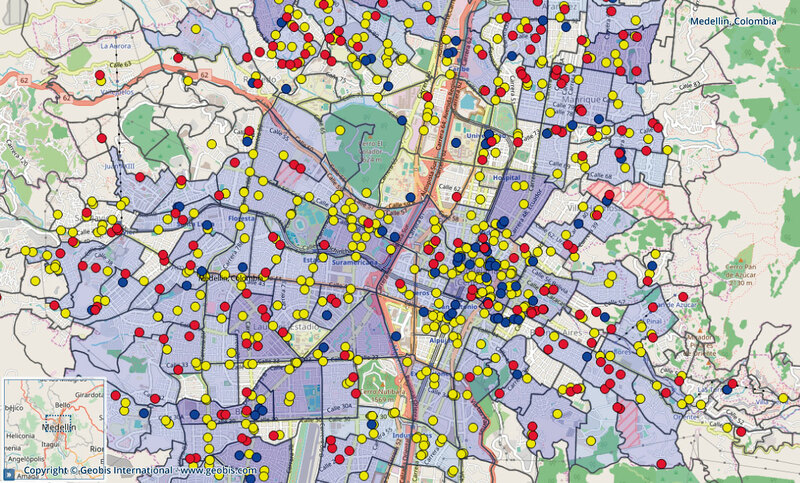 To address the need for a consistent global, high resolution population database, We have developed a sophisticated algorithm to augment census data by incorporating factors known to affect settlement geography patterns. The resulting dataset provides global coverage of population at 1×1 kilometer resolution, the finest spatial resolution yet developed. Most national censuses count populations by measuring where people sleep (or reside) rather than where they work or travel. This Population integrates daytime movements and collective travel habits into a single measure to produce a better representation of where people are located during an average day. Probability coefficients are assigned to each value of each input variable, and a composite probability coefficient is calculated for each Population cell, independent of census data, which can then be used to apportion shares of actual population counts within any particular area of interest.